You won't cut a steak with it. Summary: This thing gets almost everything right: it is cheap, lightweight, durable, does what it is supposed to and does it well. Price: $AU 1.50, say $US 1. Convenience: The thing I really hate about normal double ended sporks is that when you change ends you get food on your hand from the end you were just using. This one has everything at one end so you do forking, spooning, and cutting without changing ends. 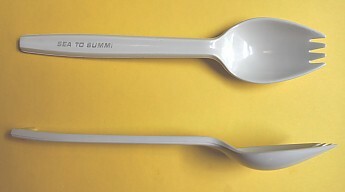 Spoon: Why do they make so many camping spoons, including on sporks, almost flat? This one is a real spoon, deep enough for getting up sauce and juicy bits. Stiffness: Don't confuse this with one of those flimsy throwaway things you get with take-away food. This one is solid and stiff. Durability: They are made from polycarbonate and are comparatively chunky. After several years of frequent use, I have yet to break one. I have an older one (different material) that is about 10 years old. It has gone dull but these are still shiny like new. Nice review, Ian. Thanks for the spork recommendation. 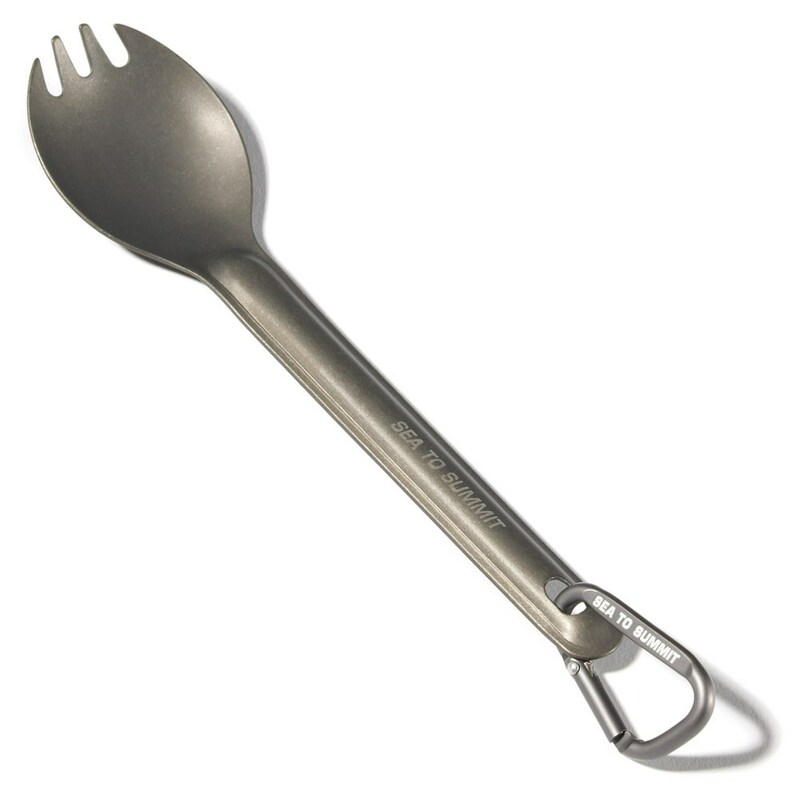 Good spork, but I like the long spoons S2S make. It allows me to reach the bottom of the bag without getting my hands nasty (or should I say nastier than they already are on the trail). Best spork on the planet. Best spork on the planet. Best spork on the planet. Best spork on the planet. I been searching for a replacement one for the last six years. Melted the first one. Much better than any of the metal ones cause they aren’t noisy and don’t scratch the non-stick. Someone went brain dead at Sea to Summit to discontinue them. Seriously works far better than any other type—cheap, durable, and lightweight. What else do you want? 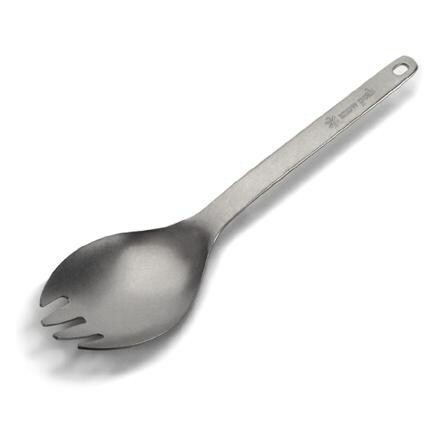 The Spork has been discontinued. 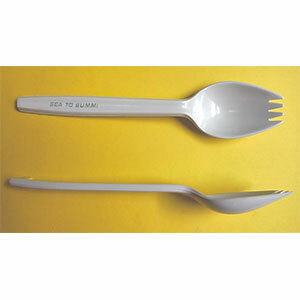 The Sea to Summit Spork is not available from the stores we monitor. 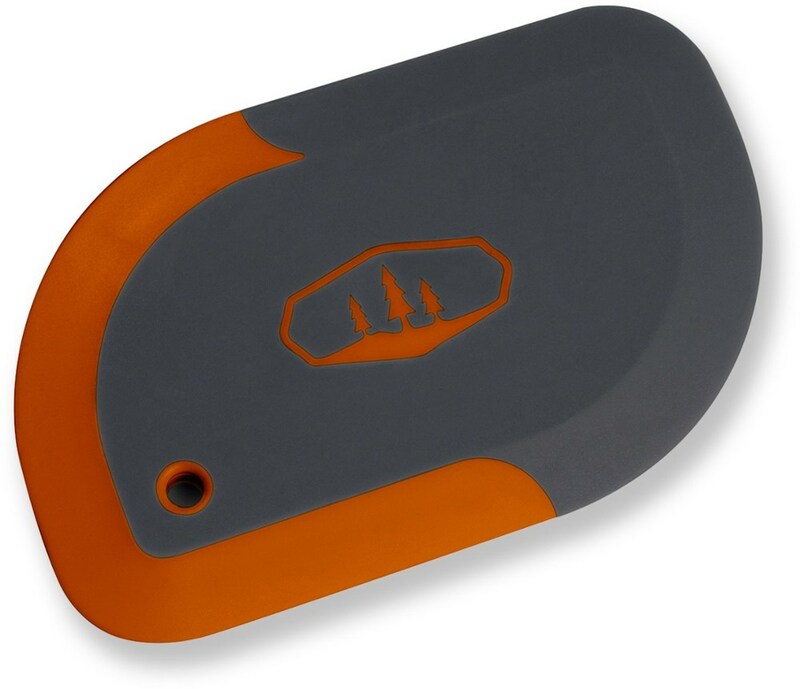 It was last seen May 23, 2014	at River Sports Outfitters.